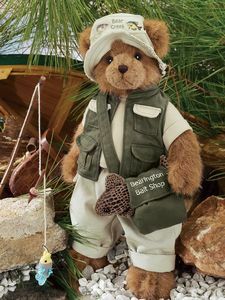 A true sportsman & fishing is his choice decked out for fun in his fishing hat, vest, trousers and top. And best of all the "catch of the day" in his creel. Appealing to 'boys' of all ages ~ 14" High.